Do you know what happened to the bird? Has it been rescued? Karen I live in NI as well. Have you tried TACT (Crumlin). I don't know if they have powers to do anything but they are definitely the specialists in their care and would know the laws concerning their welfare etc. If they don't have seizure powers I'm sure they would work with those that do to get this poor animal out of those conditions. Sorry for the late reply - I only just saw the post and realised you were in NI. My god, what is with some people thinking its ok to get a bird and keep it in a box Birds or prey requiur alot of special care which obviously they cant provide keeping it in a rabbit hutch which is to small for a small rabbit let alone a bird like that. Did you ever find out what happened to that bird? I do hope he/she is being better cared for, now ? Well done for helping - try and follow up what happens to the bird if you can. I had a run in with the local RSPCA about a sparrowhawk when I was placement there, and it's made me sceptical of how much they feel birds "matter." Well done you! I have been thinking about that poor bird and I am sure the rescue will be concerned too. Delighted I could help - lets hope the poor thing is cared for properly, soon!!! surely it has to be the rspca or rspb?? 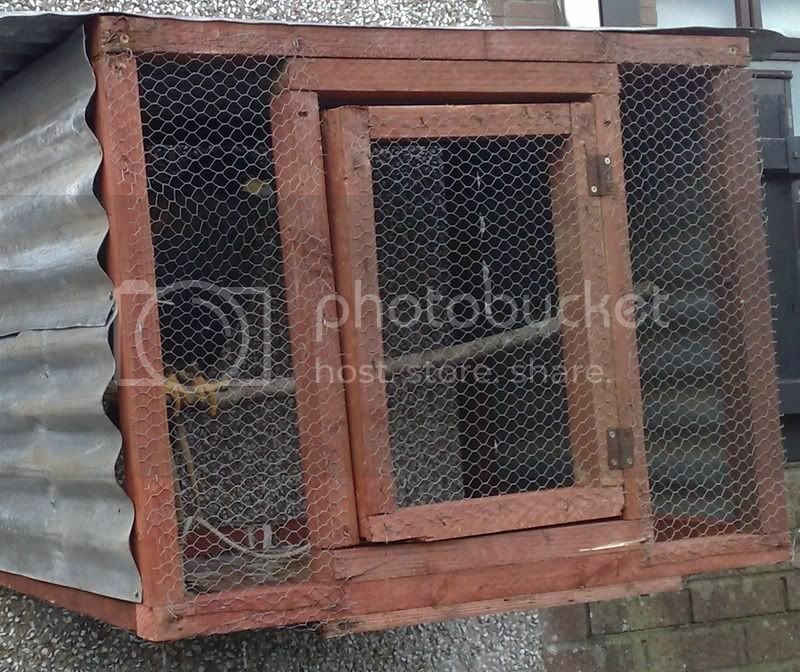 My next door neighbour has got a hawk and is keeping it in a rabbit hutch. I went out to talk to him about it yesterday and he said he got it "to hunt" for him, which worries me sick about my cats being outside. We live in a council estate, what on earth is it gonna hunt around here. But it can't be right to keep this bird in the box it's in, it can't move at all, height-wise. I've taken a photo of it but it's hard to see through the chicken wire. Apart from being worried about my cats, round here is just not the place for birds like this. Who could I report this to?